Seven of the biggest IT companies in India are planning to hand pink slips to at least 56,000 engineers this year, according to a report in the Livemint. Information technology (IT) sector in India is looking at tough times as seven of the biggest IT companies, both Indian and multinational firms with a significant presence in India, plan to ask at least 56,000 engineers to leave this year, according to a report in the Livemint. Wipro , Infosys, Tech Mahindra , Cognizant among others are the major companies which could see job cuts, even though these companies have not mentioned how many jobs would be affected. HCL Technologies, DXC Technology Co, and France-based Capgeimini SA are the other IT companies that may hand pink slips to its employees, according to the report. Wipro, Infosys, and Capgemini have dismissed the numbers as speculative, the report said. The fear of job cuts in the Indian IT sector has spread amid a wave of protectionism washing over the world. From Donald Trump's America First emphasis to Brexit and rise of nationalists elsewhere. It has meant that Indian Information Technology companies which acted as the services back office to the world face many challenges. Irrespective of the claims to the contrary, a large part of Indian IT's advantage - though not the only one - was labour arbitrage. In regular speak, it means that cost of hiring a software engineer in India was a fraction of doing so in the US or the UK. So doing work in India, paying employees in rupees, but billing clients in dollars or euros or pounds made it a very profitable business. 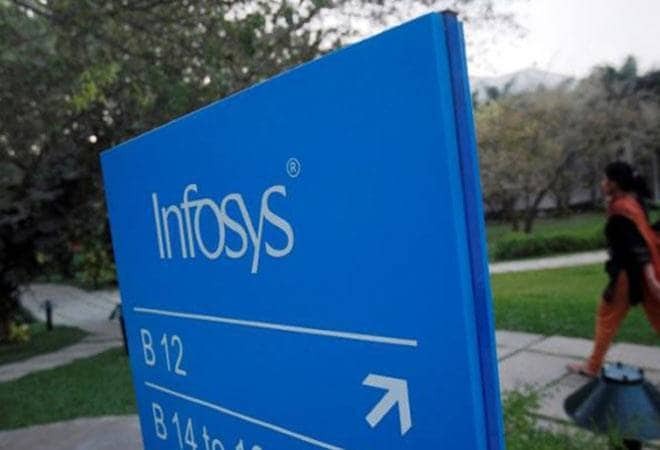 The announcement by Infosys that it will hire 10,000 people in the US (onsite) means that it recognizes the business operating environment has changed in that country. Other Indian players or MNC's who followed the India model, whether they announce publicly or not, will follow suit -- if they are not already doing that. It is not a voluntary choice. What does this mean for Indian IT? There are several strengths of the Indian IT players beyond labour arbitrage, including deep domain expertise, relationships with clients built over years and others. Being forced to hire more expensive workers in onsite locations does not mean their business will end. It just means that the 20 per cent plus net profit margins they have enjoyed for a couple of decades will end. This is also likely to impact their valuations. Also the great Indian middle class IT dream of an international work stint will also be affected. Hiring, which already has been buffeted by automation and other forces, will take a further hit. Indian IT has evolved over the years to adapt to technological shifts. The question now is will it do a seamless transition and adapt to change in political and business environment ? How well they do that will determine their continued success. While for the past couple of years it has become increasingly clear that the old value and delivery model, used by Indian IT companies for the last decade-and-a-half, is under pressure, the dramatic reduction in growth rates means that the markets might have to re-evaluate their valuations. Recent turmoil in Indian IT's largest market, USA, under the new Trump administration, as well as Brexit, has led to protectionism and a general anti-outsourcing sentiment. It has meant that Indian IT has been hit hard. The old 'lift and shift' model isn't working anymore. The suspension of even premium H1-B visa processing by the American administration means that Indian IT will have to radically alter its delivery model which might impact margins, profitability and thus valuations.